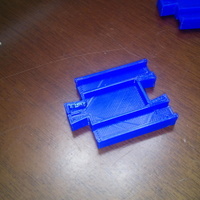 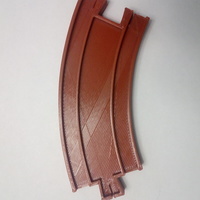 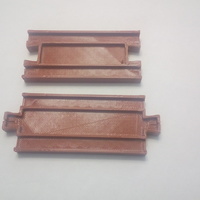 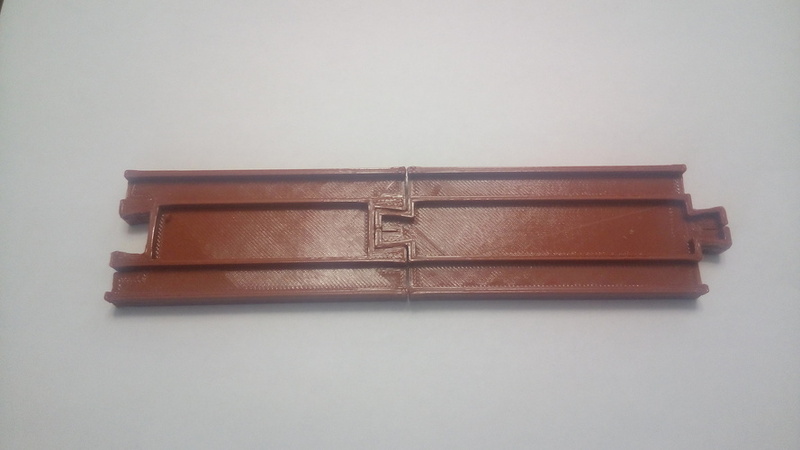 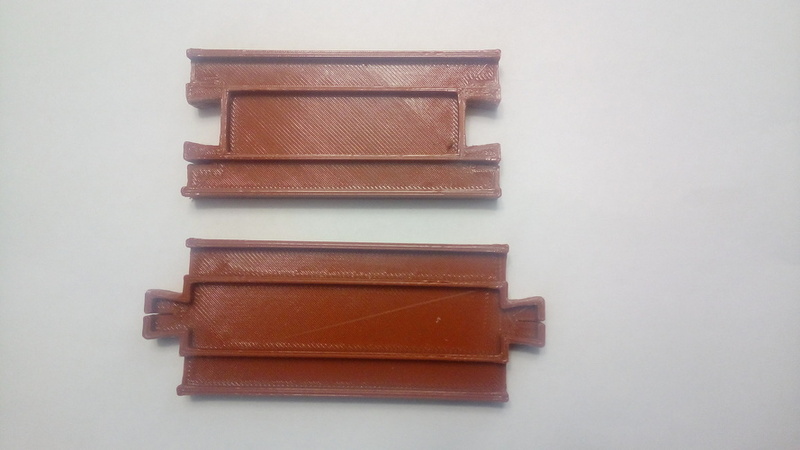 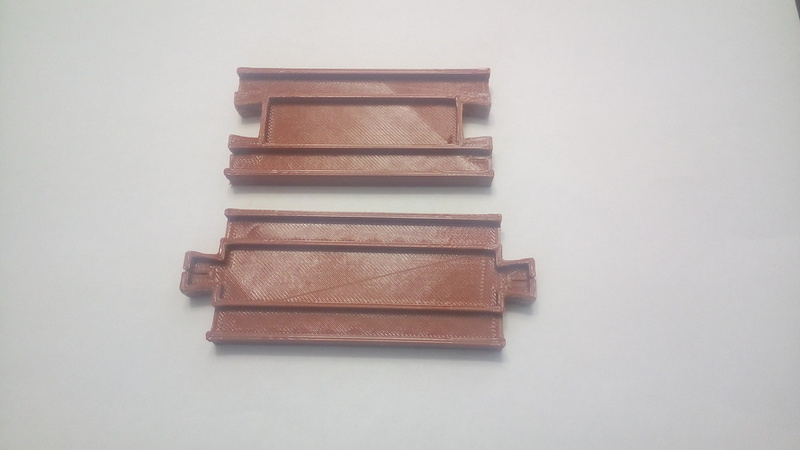 Takara Tomy Plarail compatible train track gender benders designed to print on a 110mm square bed. 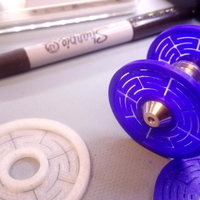 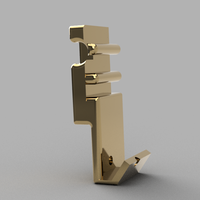 Drawn in Inventor, exported as STL, printed in PLA and it fits well. 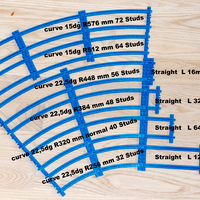 You can buy these ready-made but I never seem to have enough to finish a track design.